Another cute gift idea from Birdorable! Three of our darling cartoon Budgies perch on a spooky carved pumpkin. 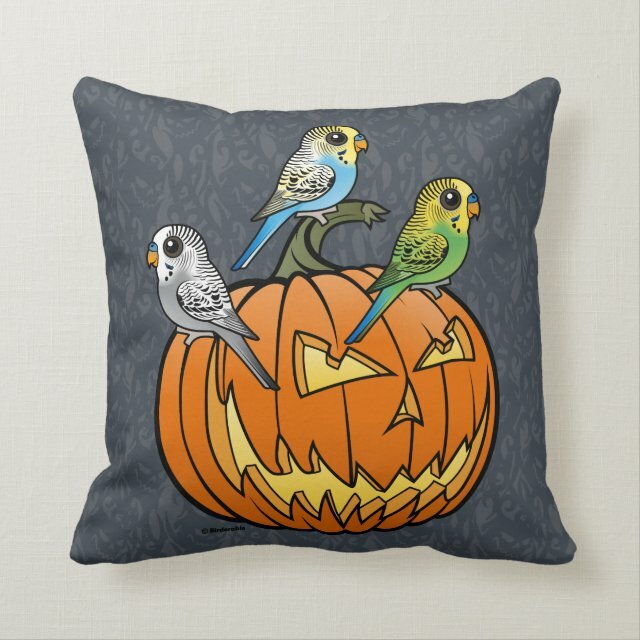 Pick up this fun Halloween holiday design for the Budgerigar lover on your list! You can customize this gift! Move the design around, change the product color or style, add text or images -- make it your own! If you'd like to see this Birdorable holiday design on a different product not currently available, please send us a message and we can make the product available in our store.